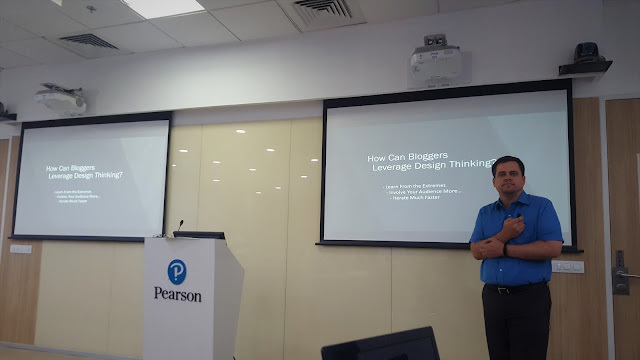 In this post, I cover the Design Thinking for Bloggers workshop held at Pearson's office in Gurgaon last week. While India is making significant progress in digitization, the Indian higher education is also evolving with key concepts defining and shaping the growth trajectory of the industry. One such key concept that is disrupting and innovating teaching and learning process in the Indian context is Blended Learning. The concept is rapidly gaining momentum as it is an effective learning solution that combines online teaching with offline touch points and vice versa, thus bringing the students the best of both worlds. Though there is tremendous value in having face-to-face interactions in the class, student abilities are enhanced when these are supplemented with blended learning methods that maximize learning while providing students with convenience and flexibility. Last week, Pearson invited a group of leading bloggers from Delhi-NCR, including yours truly, at their state-of-the-art facility in Gurgaon to talk about their blended executive education programs by the name of Pearson Professional Programs (PPP) that span a variety of functions and industries, for participants of diverse seniority levels (top, senior, and middle management). It deploys cutting-edge learning technology, classroom infrastructure, and pedagogical methods to help working professionals update their skills and progress in their careers while making material improvements in the organizations that they work for. For more information, visit http://pearson-professional.com/. 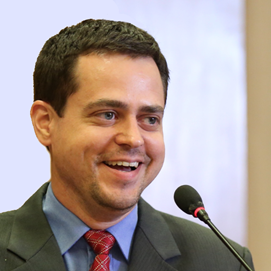 In partnership with leading higher education institutions, faculty, and content providers from around the world, PPP offer courses through blended learning that involves complementing traditional face-to-face programs with e-learning technologies such as live online sessions, simulations, discussion boards, group projects, classroom interactions, videos, and more. 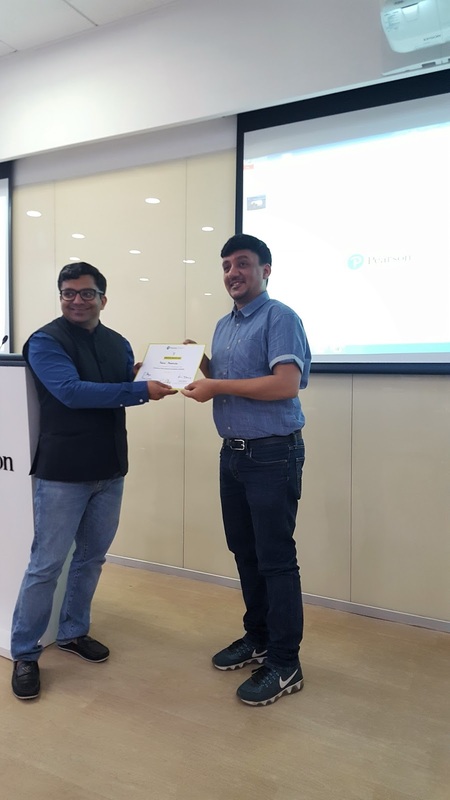 Post Varun's interaction with the bloggers, Joseph A Hopper, Head -Learning Design at Pearson, conducted an interactive workshop for participants called Design Thinking for Bloggers. Joseph is an accomplished international educationist and learning program designer who has been trained in Design Thinking and Innovation by IDEO in their San Fransico head office. He previously served as a Director at the Indian School of Business where he created the Experiential Learning Program (ELP) and managed the Wharton Global Consulting Practicum. He has personally overseen over 100 consulting engagements for a wide variety of clients such as HP, Bombardier, Sony, Citibank, Goodyear, Maersk, SAP, SEBI, Microsoft, Mattel, ITC, Amazon.com, Google, ICICI Ventures, and GE. He has also served as Dean of Sunstone Business School. He has also headed Corporate Development and Growth Through Innovation (GrIN) at NIIT Ltd.
Joseph holds a PGP (MBA equivalent) from the Indian School of Business, Hyderabad with a specialization in Entrepreneurship. While there he co-authored a case study that is taught in the London Business School. He earned his B.A. from King University (USA) with a double major in International Business and Information Systems. According to Joseph, design thinking is a formal method for practical, creative resolution of problems and creation of solutions, with the intent of an improved future result. In this regard, it is a form of solution-based or solution-focused thinking - starting with a goal (a better future situation) instead of solving a specific problem. By considering both present and future conditions and parameters of the problem, alternative solutions may be explored simultaneously. Design thinking is especially useful when addressing what is referred to as “wicked” problems. In the context of design thinking, the word wicked does not refer to maliciousness but instead to problems that are ill-defined or tricky. In the case of wicked problems, both the problem and the solution are unknown at the outset of the problem-solving exercise. This is as opposed to problems where the problem is clear, and the solution is available by application of technical knowledge. Design thinking employs 'divergent thinking' as a way to ensure that many possible solutions are explored in the first instance (note areas that widen, denoting emphasis on divergent thinking), and then convergent thinking as a way to narrow these down to a final solution. Divergent thinking is the ability to offer different, unique or variant ideas adherent to one theme while convergent thinking is the ability to narrow the number of retained solutions to the given problem. Design thinking encourages divergent thinking to ideate many solutions (possible or impossible) and then uses convergent thinking to select the best approach. The design thinking approach differs from the analytical scientific method, which begins with thoroughly defining all the parameters of the problem in order to create a solution. Design thinking identifies and investigates with both known and ambiguous aspects of the current situation in order to discover hidden parameters and open alternative paths which may lead to the goal. Because design thinking is iterative, intermediate solutions are also potential starting points of alternative paths, including redefining of the initial problem. The key practice that brings forth a great design is the practice of iteration. The iterative process occurs over and over until a design is considered worthy of implementation. In contrast to a purely analytic approach, design thinking is a process which includes the building of ideas with few or no limits on breadth, during the brainstorming phase. This helps reduce team members’ fear of failure and encourages input and participation from a wide variety of sources in the ideation phases. Identification of valuable yet initially seemingly unworkable solutions is one goal of the brainstorming phase and is encouraged. Brainstorming supports the discovery of hidden elements, ambiguities, and faulty assumptions of a situation. 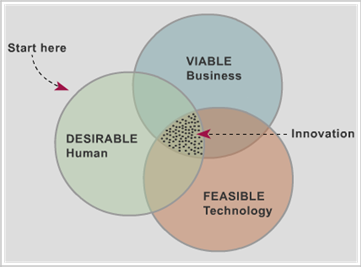 Innovation is an increasingly central topic in business today and design thinking skills support innovation. Business problems today are increasingly complex and tricky, hence design and innovation are a key competency for managers. Furthermore, design thinking plays an important role in the creation of a learning organization. Despite the power of design in management, little attention has been paid to the subject in management education. 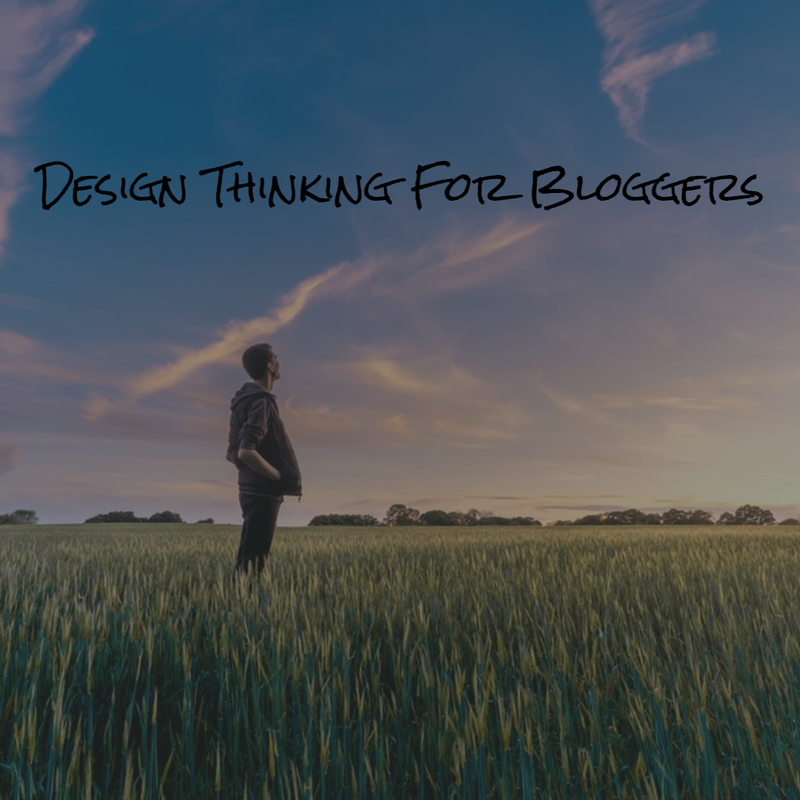 While there has been significant business interest in design thinking in the last decade, in 2015 the design thinking pioneer Tim Brown assessed design thinking to be widely, but only sporadically, used in business. He argues that competitive advantage comes from the sustained use of design thinking, from becoming "masters of the art." At the end of the workshop, Joseph summarized that design thinking is a human-centered, social, and iterative process which deploys creativity, intuitiveness, and learnings from other people. As bloggers, we too can apply design learning by engaging proactively with our most ardent (extreme) readers and listening closely to their feedback.